In a large measuring cup, mix together part of the cream and condensed milk. Add one tbsp. of mixture to each popsicle mold. Place in freezer for at least approx. 20 - 30 min. Mix together coffee, Baileys, more of the cream, and rest of the condensed milk mixture. 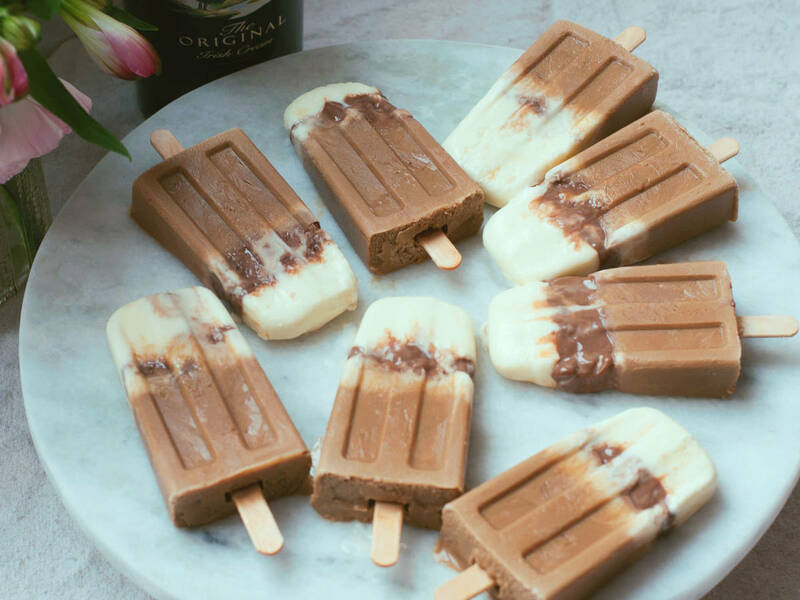 Now, fill each popsicle mold almost to the top with Baileys mixture. Roughly chop chocolate. Heat remainder of cream in a small saucepan over low heat, add chocolate, and stir until melted. Now, add chocolate to each popsicle mold. Close your popsicle mold and insert popsicle sticks. Place in freezer for approx. 4 – 6 h.
Remove from freezer and carefully hold popsicle mold under warm water to release popsicles. Enjoy with a glass of Baileys!